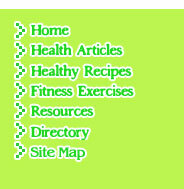 With so much health and fitness information coming from so many different sources, it's no wonder people are confused. What does it take to get fit? Will crunches get rid of my spare tire? What’s the best way to lose weight? These are the types of questions ACE-certified Fitness Professionals hear on a daily basis. More than 1,500 ACE-certified Professionals responded to our request for the most pervasive myths and misconceptions about exercise. Here are their top six responses. - Women who lift weights will get bulky muscles. - Spot reducing is possible. - No pain, no gain. - Exercise requires a hefty time commitment. - If you exercise, you can eat whatever you want. - There’s a magic bullet (quick fix) out there somewhere.